This guidebook includes 30 day-walks in the stunning and varied lands of the Wye Valley. From its source on Plynlimon in the Welsh Cambrian mountains, down along the Wales-England border through Hay-on-Why, Hereford and Chepstow to the Severn Estuary. The routes in this guide are circular, and range in length between five and fifteen kilometres. Every route description is accompanied by an annotated OS map, and includes details on points of interest along the way to enhance your wandering. The Wye Valley is known for its beauty and wide range of scenery; a walkers' paradise at any time of year. From the high moorland near the source, down through gentle green hills, before diving into the woods and limestone gorge near the sea. Practical details such as the amount of ascent and timings information are included for every walk, as are details on public transport and parking facilities. 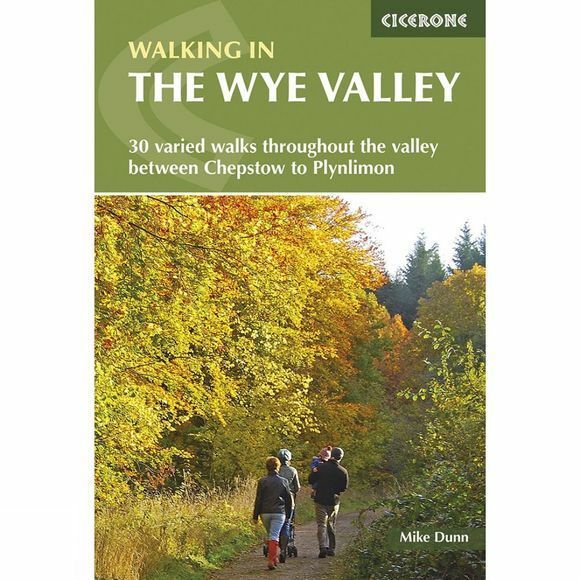 Other useful information on the river's history, geology and wildlife ensure that this is an ideal companion to exploring the impressive range of walking the Wye Valley offers.